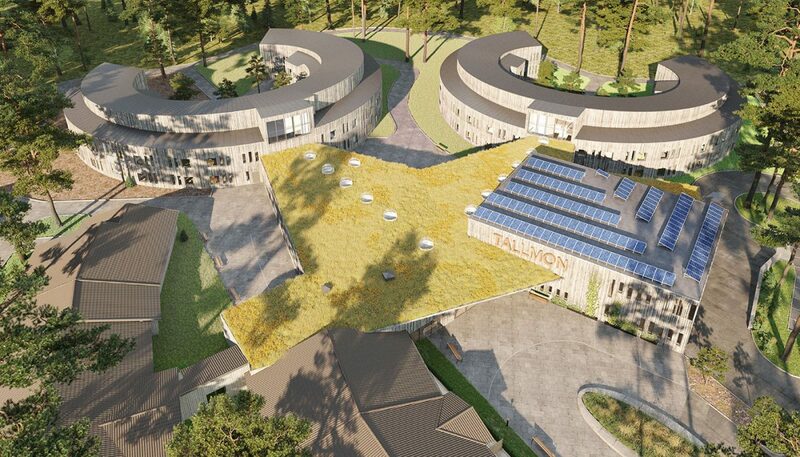 Tallmon’s new retirement home in Älvkarleby is a big investment and important project for the municipality. 80 new apartments, built in direct connection to an existing home with 47 apartments. 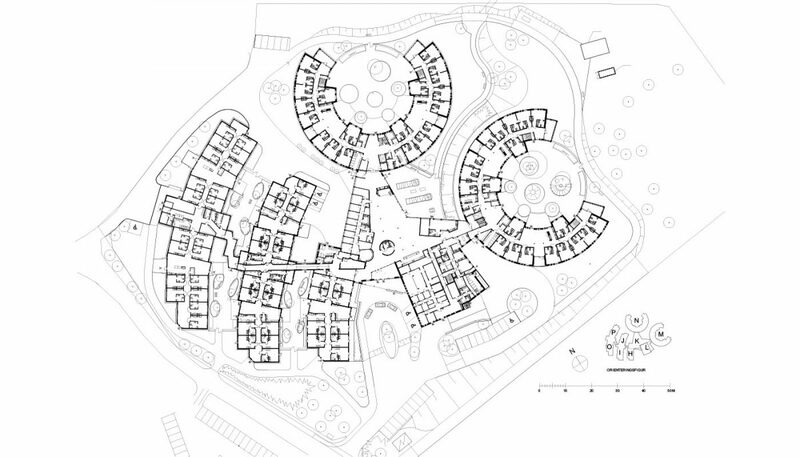 The new apartments are arranged in two circular volumes, shaping a green courtyard. 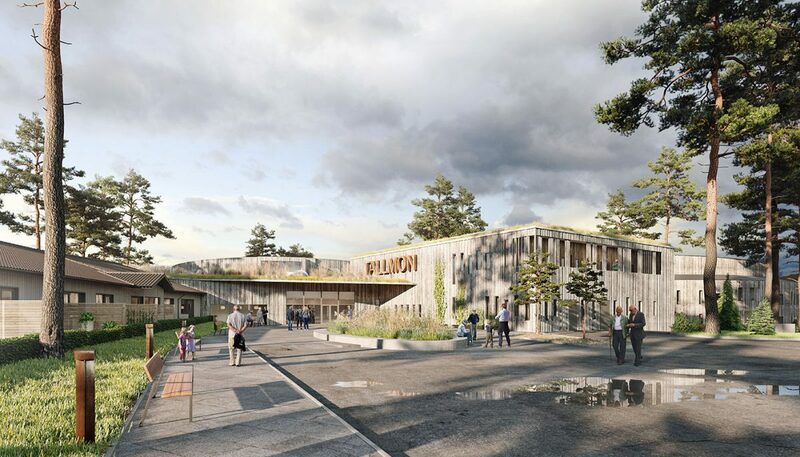 Residents and visitors are welcomed by a manned reception in the main entrance, which is connecting directly to the inner square of the building. In the square there is a restaurant, lounge areas and a fireplace. It has a direct connection to a common space for gatherings, coffee, happenings or just sitting by the fire. The square is a natural meeting place, centrally located within the building and linking the existing buildings with the new. 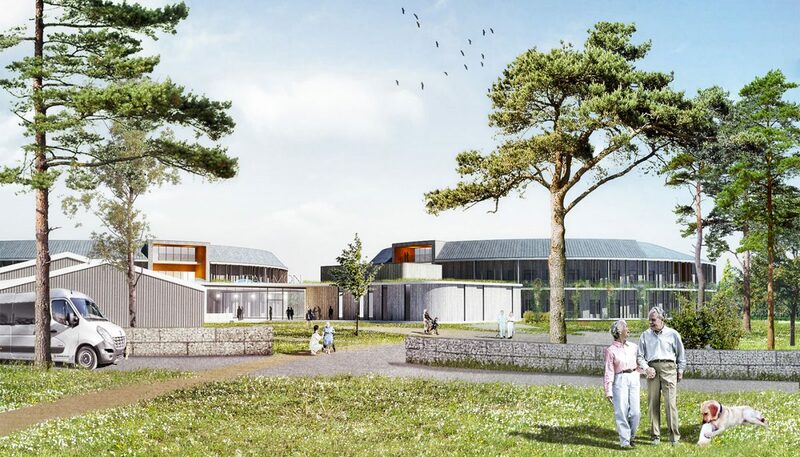 Within every ward of ten apartments there are common rooms of different sizes which allows the residents to choose between a more secluded place or together in a bigger group. The home is shaped with the many senile residents in mind. The security is high, but at the same time there are views and possibilities to choose different types of places to stay within the safe zone. On the third level in one of the volumes, there are places for being quiet, rehab, sauna etc. 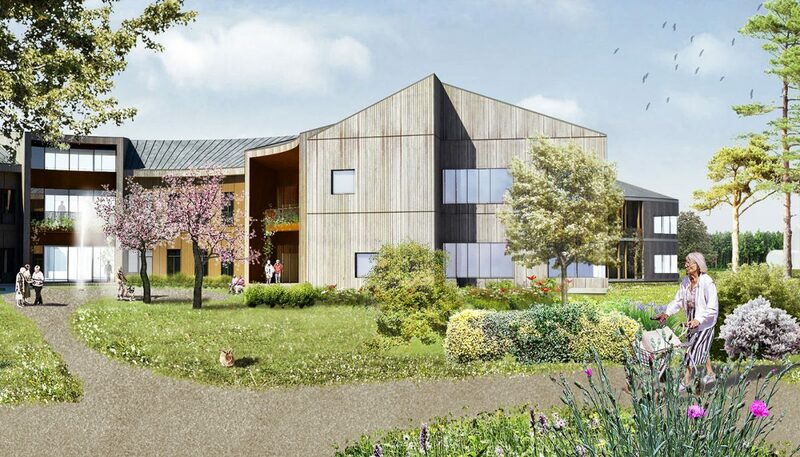 In the other volume there are rooms for resting, staff rooms and an overnight apartment.